Designed by Dave Vickers from DesignCoUk, to attract both new business and talented Graduates from the UK’s top universities, this website includes a great Careers section, showcases their completed projects and allows users to download Fire regulation documents. We included 2 days work of Alison’s time (Search Engine Marketing) to analyse the original website, help with all of the re-directs and advise on the design to make sure the new website’s Google ranking grows after launch. 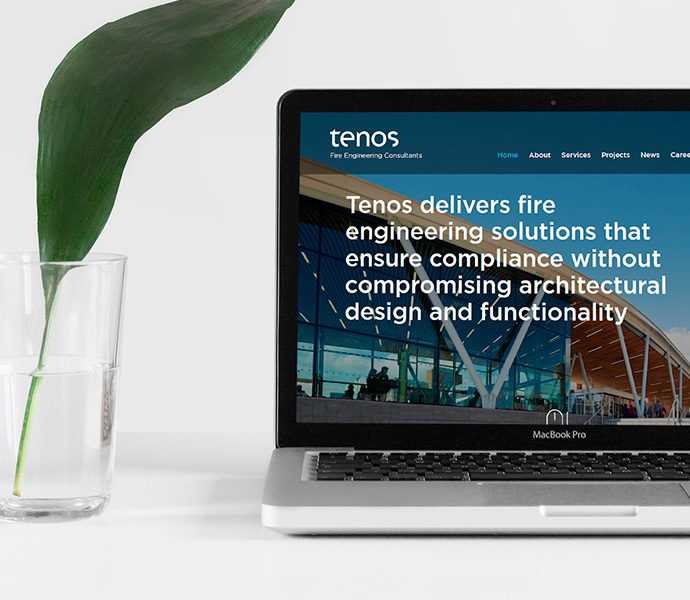 As with all of our sites, we made it easy to manage so that the team from Tenos could upload, edit and configure the pages as they wanted. 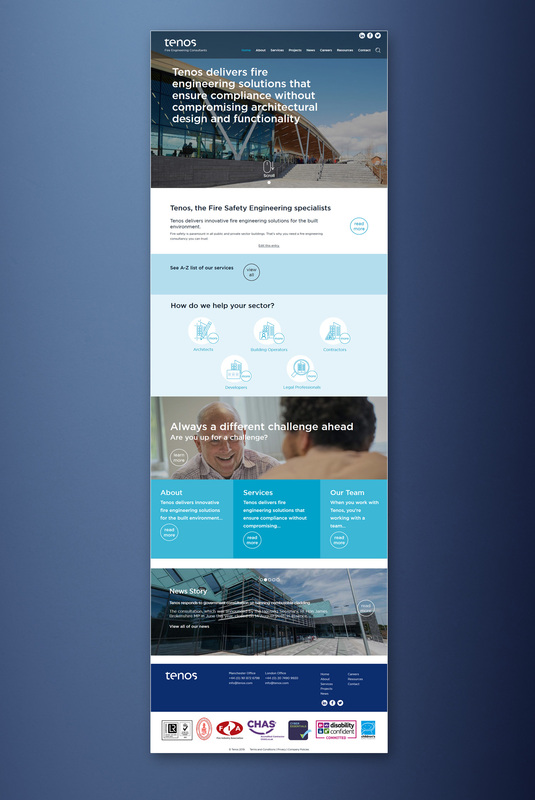 We think the result is a very slick corporate site that will attract high calibre customers and staff.